Nice and easy side dish. We don't eat a lot of potatoes, but maybe we will now after making this. 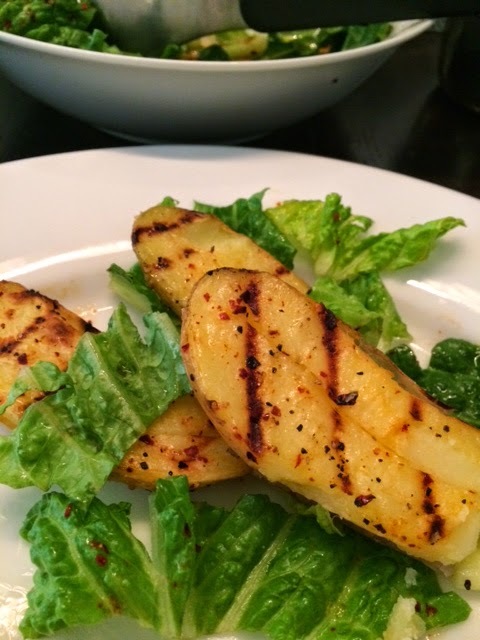 This recipe involved boiling the fingerling potatoes and then grilling them which added a nice 'grill' flavor. To make it more of a 'salad' (we like our greens, or rather, we know greens are healthy and we should eat them), we mixed in romaine lettuce.